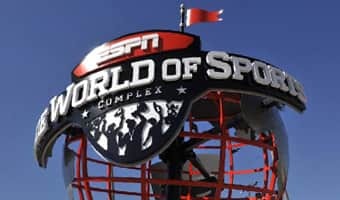 Every year when my daughter’s team arrives at the ESPN Wide World of Sports Complex for AAU Volleyball Nationals we have no idea what our schedule is beyond the first day. Therefore, unless we are planning on arriving early or staying after our tournament, how are we supposed to plan the most magical part of any Disney Sports vacation... Walt Disney World®. Your best bet will be to stop by the ESPN Wide World of Sports Complex Welcome Center... wait, you don’t know what the Welcome Center is?!? Well let me introduce you: The Welcome Center is your one-stop shopping location for information about tickets to Walt Disney World® theme parks and water parks, Disney dining options, DisneyQuest® Indoor Interactive Theme Park, Walt Disney World® gold reservations, recreation, transportation and specialty tours. They can even help you with driving directions. 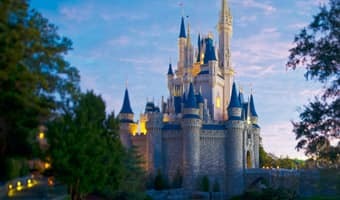 Given the hectic nature of most tournaments, planning your Walt Disney World® visits can be mighty difficult. Located in the heart of the ESPN Wide World of Sports Complex, the Cast Members are a Team Mom’s best friend. The Welcome Center has the ability to find creative options such half-day theme park tickets. That’s right! 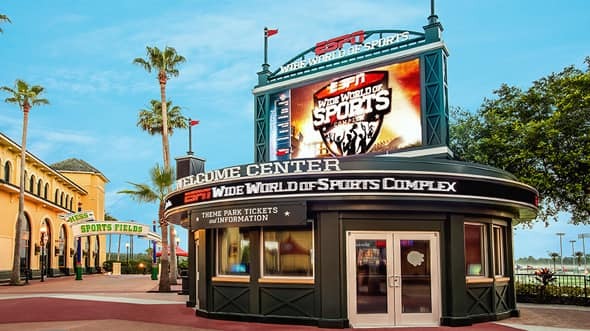 If your team is playing in the morning you can head to the Welcome Center and get half-day tickets so you can spend a fun afternoon in the theme parks. 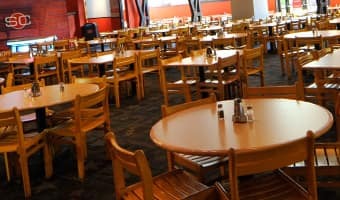 What about dining reservations? The Welcome Center can help with those too. Whether it’s a reservation for two at the Rose & Crown Pub & Dining Room or for 20 at Rainforest Cafe®, they have a magical way of finding reservations for you and your team. Here’s something I bet you hadn’t thought of... cheer cards. If you are traveling a long distance to your tournament, the last thing you want to worry about is packing your spirit material. The Welcome Center always has an ample supply of cheer cards and markers for everyone in your group so you can show your support. If you have any questions you think the Welcome Center can help you with give them a call at (407) 541-5600. Sue is a member of the 2014 Disney Parks Moms Panel representing the ESPN Wide World of Sports Complex. She is here to answer your questions and help you plan your team’s next trip.